I'm endlessly fascinated by symmetry, chaos, and infinity, both in the natural world and in two- and three-dimensional geometric constructs. I enjoy discovering new constructions and connections that I find compelling in terms of their math and esthetic content. Animations are an effective way to communicate these ideas to others. This short movie demonstrates an unexpected relationship between the canonical Pythagorean Tree and the Dragon Curve. This is based on folding the tree according to a particular sets of rules, shown in an animation created using Mathematica and Photoshop. 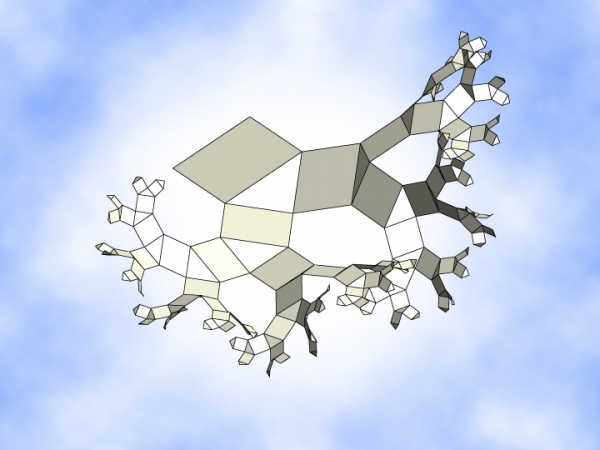 A naturalistic fractal tree based on this construct is also shown. Relationships between binary Pythagorean Trees and other fractal curves is demonstrated as well.